The future looks incredibly bright and hopeful if it is going to be run by young women like Gitanjali Rao. 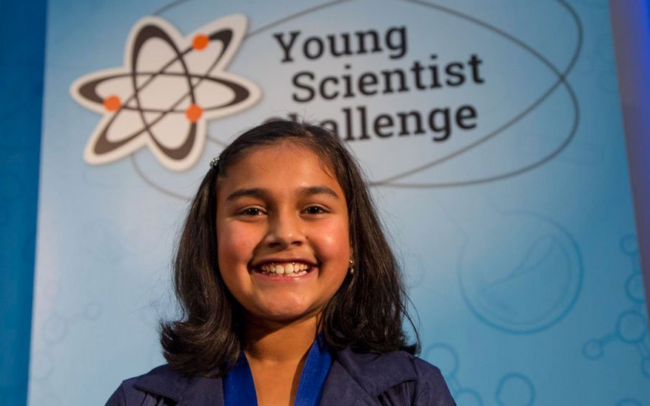 This 11 year-old genius has won the Discovery Education 3M Young Scientist Challenge award for 2017, taking home the $25,000 prize for her innovative device that was designed to literally save lives. Her invention, called “Tethys” for the Greek goddess of fresh water, was inspired by the Flint, Michigan, lead crisis that has been ongoing for the past couple of years. Numerous frustrating news stories have shown how the Michigan government has yet to undo the damage that has affected many families, disproportionately minority families. While the justice system continues to prosecute those responsible for the excessive lead levels in the water, more action is needed to prevent further contamination and empower families to protect their loved ones, especially children. This is where Gitanjali Rao comes in. The Colorado-based scientist hopes to reduce the time of lead detection in water by using a mobile app, to connect over Bluetooth to get status of water, almost immediately. Her ingenuity lives at the intersection of female empowerment and youth activism, showing how the next generation are going to change the world given the right opportunities. 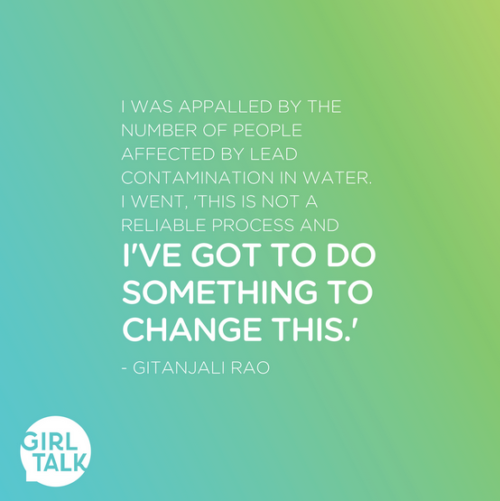 Gitanjali told Business Insider she started thinking about her invention after the issue of testing water for the presence of lead became a personal experience. “The idea just came to me when I saw my parents testing for lead in our water. I went, ‘Well, this is not a reliable process and I’ve got to do something to change this’,” she said. In another interview with ABC News (yep, this young badass has been getting plenty of media coverage! ), she explained how the Flint crisis was part of the spark for her invention. “I had been following the Flint, Michigan, issue for about two years. I was appalled by the number of people affected by lead contamination in water,” said the seventh grader. As CNN reports, lead contamination is a major issue across the US and is not just limited to the city of Flint. In fact, there are currently more than more than 5,300 water systems where lead is a problem, according to 2016 data. The World Health Organization explains how toxicity from lead can be very dangerous for both children and adults. “Young children are particularly vulnerable to the toxic effects of lead and can suffer profound and permanent adverse health effects, particularly affecting the development of the brain and nervous system. Lead also causes long-term harm in adults, including increased risk of high blood pressure and kidney damage. Exposure of pregnant women to high levels of lead can cause miscarriage, stillbirth, premature birth and low birth weight, as well as minor malformations,” says an info page on their website. 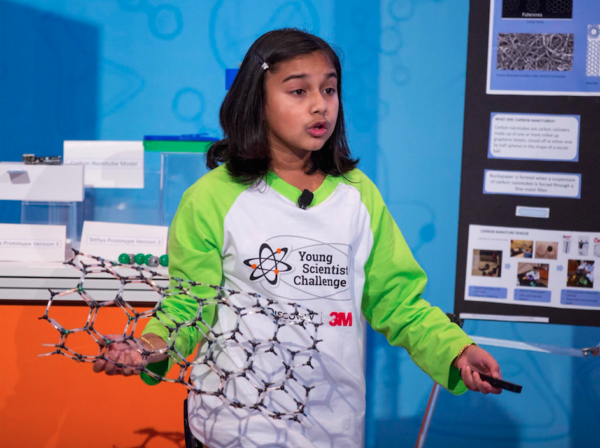 Proving why it is imperative we continue to encourage more girls to get into science from a young age, Gitanjani says she came up with the specifics for her invention after browsing the MIT Department of Materials Science and Engineering’s website, which she regularly visits to see if there is anything new to read about. 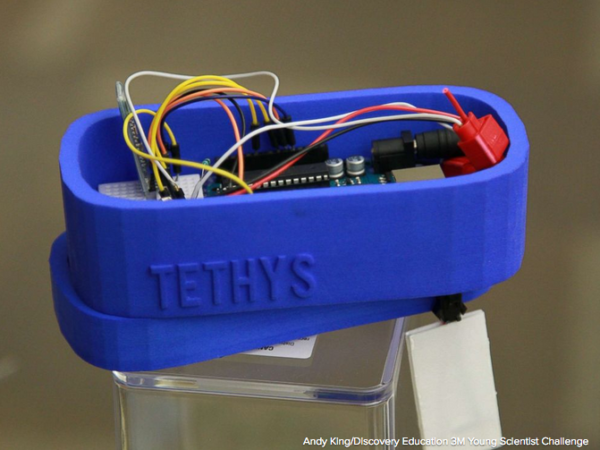 She spent five months working on her device, and got help from her engineer parents as well as experts from local schools and universities to perfect Tethys. She was able to convince the learning institutions to allow her to work in their science labs, and also worked in her “science room” at home which she asked her parents to create for her. “Our first question was, ‘Is this what you really want to go after? Because it’s a sizable problem.’ Then you go one day at a time. There was no real expectation that she would necessarily finish, but the journey itself would be the learning experience. It turned out she had a lot more determination,” her father Ram Rao told ABC News. 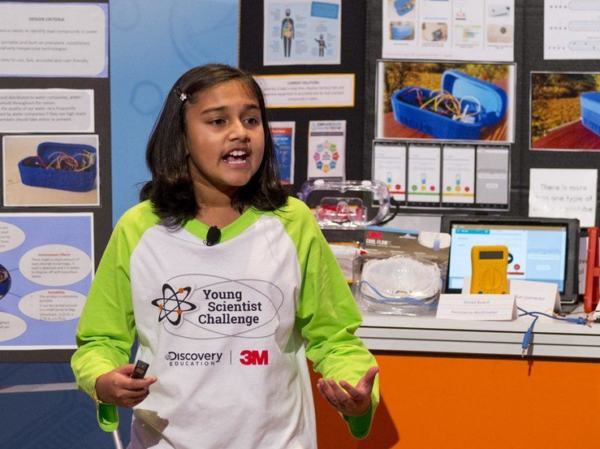 After entering the Young Scientist Challenge and being named one of the finalists, she was paired with a scientist from 3M, Kathleen Shafer, a research specialist who develops new plastics technologies, to complete the device. Tethys is designed to test water for the presence of lead much faster than what is currently available on the market. People who want to test their own water today can either use a testing strip or send a sample of water to the EPA for inspection. Not exactly high-tech methods and they certainly don’t adapt to our digital society. Consisting of 3 main parts, Gitanjali’s sensor-based device utilizes carbon nanotube sensors to detect lead then send the results to a smartphone via Bluetooth. The Young Scientist Challenge judges were very impressed by her work and inspired by her passion to create something that will potentially help many people. “It’s not hyperbole to say she really blew us out of the water. The other nine kids, they were also such amazing kids, so for her to stand out the way she did with a peer group like this is like an exclamation point on top of it. She is the kind of young person that we can all look forward to what she’s going to do for society,” said Dr. Brian Barnhart, an Illinois school superintendent and one of the seven 3M judges. Gitanjali told the judges her goal is “to save lives and make the world a better place.” She plans to use some of the $25,000 prize money to develop Tethys to make it commercially available, and also pay for college where she hopes to study to become a geneticist or epidemiologist. In her video entry, she talks about her goals for the device and what she hopes to achieve. “I hope this helps in a small way to detect and prevent long-term health effects of lead contamination for many of us,” she said.